About 2.5 million Muslims are converging on Mecca this week to take part in the annual Hajj. This year many pilgrims are adding extra step to their preparations for the ritual - getting the H1N1 vaccine. Riyadh is also trying to prevent a spread of the H1N1 virus as the crowded rituals provide an environment for transmission of the disease. 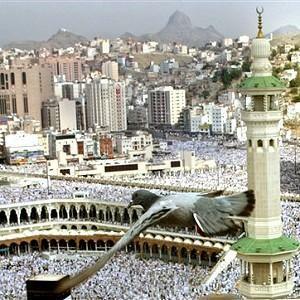 At least four pilgrims have died of the virus since the beginning of the haj season. Since the World Health Organization declared H1N1 a pandemic in June, experts fear pilgrims from some 160 countries would carry the virus initiating waves of outbreaks worldwide. Should hajj 2009 be cancelled?